If you are looking for a highly trained and experienced dentist in Londonderry, you have come to the right place. At our practice, you will receive the highest quality dental care. 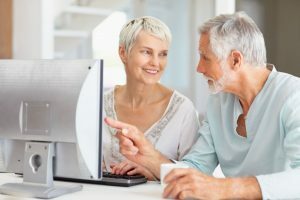 Our dental office in Londonderry uses the latest state-of-the-art equipment and cutting edge technology and we uphold the strictest sterilization techniques. We know that many people may feel anxious about coming to the dentist, so it is our goal to make your visit with us as pain and anxiety free as possible. We view it as our mission to educate our patients about all of their oral health care options and to help guide them to choose a treatment plan that is most suitable and appropriate for their needs. 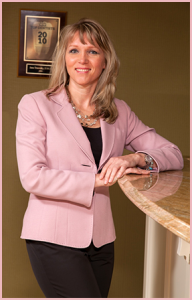 Londonderry Family Dentistry was founded by Dr. Jana Trnovsky. Upon completion of her dental degree, Dr. Jana served in the US Navy Dental corps for four years. She was stationed at the Subase Groton, and at the Naval Air Station Patuxent River. Subsequently she worked as an associate in private practices in Westford, Chelmsford and Pepperell, MA. Dr. Jana is committed to advancing excellence in the art and science of cosmetic dentistry and encouraging the highest standards of ethical conduct and responsible patient care. She is an active member of the American Dental Association (ADA), Academy of General Dentistry (AGD) and numerous dental study groups. She is continually participating in advanced training and continuing education courses.